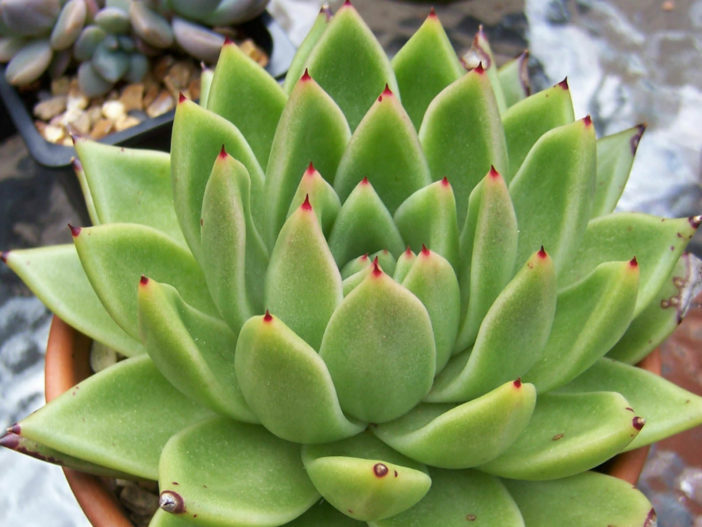 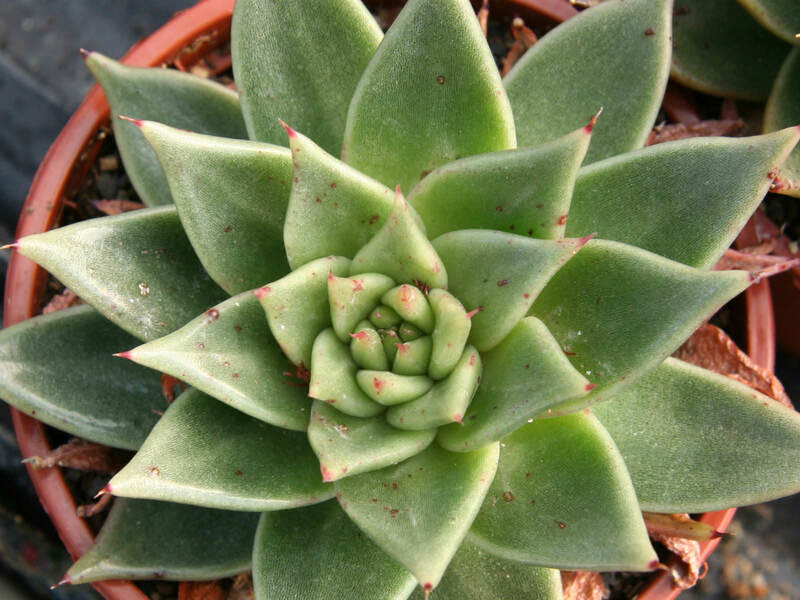 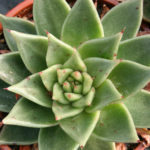 Echeveria agavoides is a small, stemless, succulent plant, up to 5 inches (12.5 cm) tall, with a star-shaped rosette of fat leaves up to 8 inches (20 cm) in diameter. 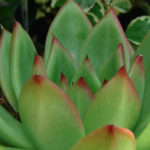 The apple-green leaves are triangular, with reddish edges and a terminal spine. 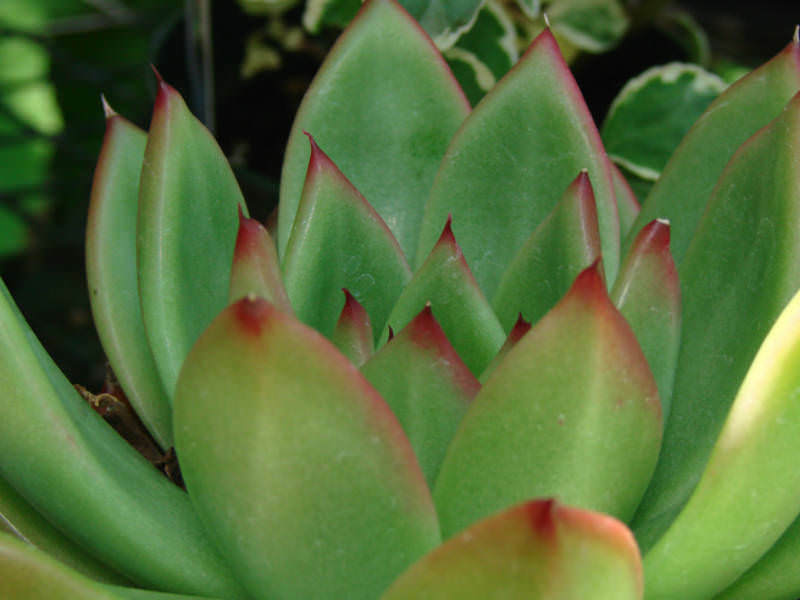 The inflorescences in summer appear on slender, single-sided cymes up to 20 inches (50 cm) long. 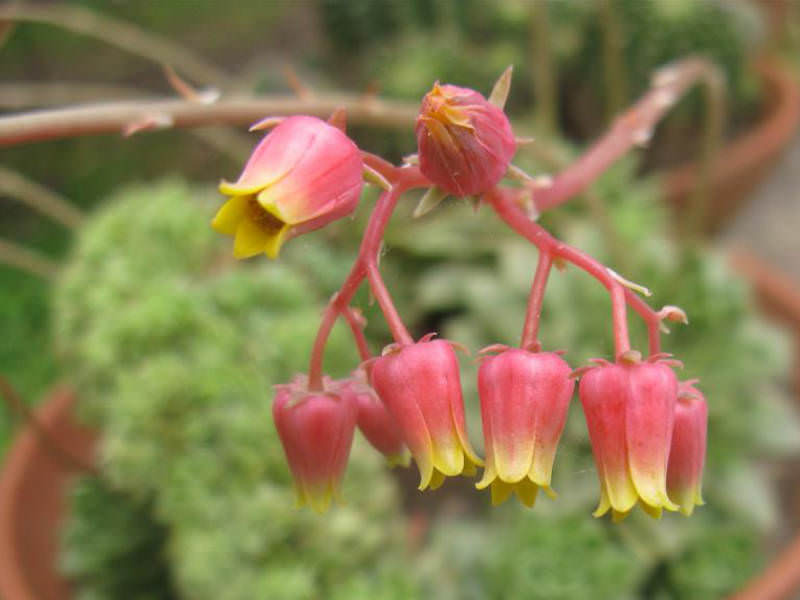 The flowers are pinkish-red with petals tipped with dark yellow. 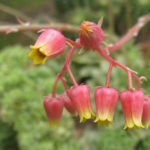 Native to rocky areas of Mexico.